Mt. San Jacinto Outdoor Recreation • View topic - Mtsanjacinto.info doesn't work with Firefox? Mtsanjacinto.info doesn't work with Firefox? Re: Mtsanjacinto.info doesn't work with Firefox? 2. Quick (easiest) workaround: download a separate archival *portable* firefox app, so your system won't overwrite/intermix. (such versions are also sleeker/quicker/less resource intensive). Use ad lib for any quirky sites. arocknoid wrote: Quick (easiest) workaround: download a separate archival *portable* firefox app, so your system won't overwrite/intermix. 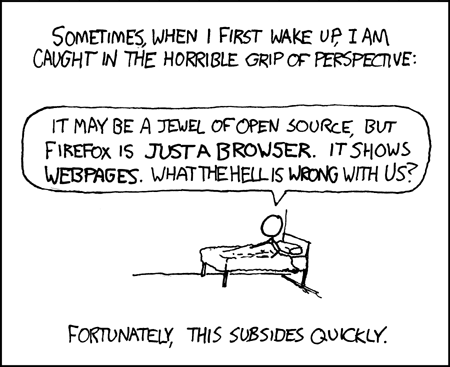 Quickest easiest workaround for me is just to have Firefox save my logon info. I still have to go to the logon page each time i visit but it's only one extra click. Not really that big a deal. Ver 40 is working fine otherwise. Mine does the same thing ("forgets" to keep me logged on) with Chrome. Does it at home and at work. Did it at my old job and now with my new.